Poll: Does Euron Silence Yara Permanently? And, in that light, who can blame Theon for fleeing? Hasn’t he lost enough body parts? But, one way or another, ya gotta wonder: Will Euron silence Yara permanently? Does Euron Take Yara's Voice? I don’t know so whether Euron did/will not do that so I feel I can’t take part in the poll – I mentioned something in a comment which is awaiting moderation (it was quite long) that I had some difficulty in making out some details in the scene because the lighting was very dark. I was straining my eyes to see if there was any blood coming from Yara’s mouth and couldn’t tell. On a tangent, does anyone know how long ago that scene was filmed? Gemma Whelan is pregnant at the moment (I don’t know how many months but enough to show) – I wonder if she did all that jumping around while pregnant (okay, I know they use stunt doubles a lot when shooting such scenes). It could have been before she was pregnant of course. Book Euron married book Asha off to a husband she didn’t want if I remember correctly but she ran away. But it’s hard to know what will make it from the books into the show at this moment in time. Ah, I wonder, in order to bring her into the “fold” and possibly ensure her compliance, Cersei could have her married off to an ally – as Mary I wanted to do with the Princess Elizabeth. I think Euron has said that he wants her dead but so far, she has been kept alive and taken to King’s Landing. The showrunners may surely have an ultimate purpose for this. Though her survival is of little consequence to Cersei, she is more valuable to her than she is to Euron. 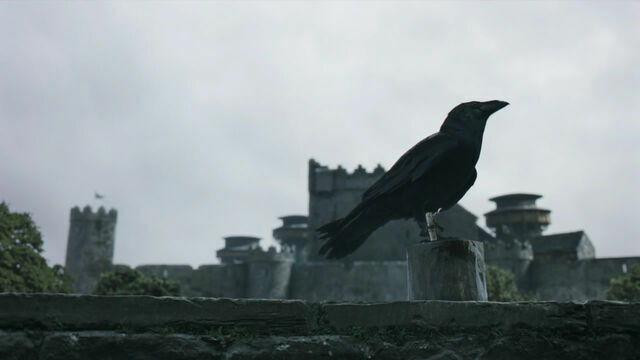 While she lives, she remains a threat to his position as King of the Iron Islands. Cersei on the other hand, could use her as a bargaining chip. Indeed, knowing what we do about Cersei, it is unlikely she will want to maintain Euron’s alliance for long. He will press for her hand in marriage and Cersei may begin to perceive him as a nuisance that must be gotten rid of, so as to avoud sharing power with anyone. As soon as she has what she wants, she will see Euron for what he is and discard him. In fact, I would not be surprised if Yara divulged to Cersei that Euron’s original plan was to offer his ships and his hand to Daenerys. This could seal his fate. The only question remains, what role could Cersei envisage for Yara after that possibility, if any at all? I know. I agree. Whats going to happen next feels like anyone’s guess. I had trouble seeing too because of the lighting and only figured out the soldiers were cutting out tongues after I read an article. But I have a very small TV. Maybe it’s different on a big screen? No clue. I’m really hoping that Euron doesn’t cut out Yara’s tongue. I don’t think he will kill her. When you think about it, Yara is a valuable hostage – far more valuable than Theon – due to her code of honour, courage, respectability and her status and standing with her men. There is also the possibility that she could bear children. It would have made far more sense to me if Euron would have killed her on the spot and hence, eliminated her as a threat. He is lured by delusions of grandeur and promises made by Cersei that will in all likelihood, never be kept. She will not want to share her power with a man, but she could use Yara as leverage or as a bargaining chip with Daenerys, if she so wishes. To her, it is of little consequence whether Yara lives or dies, unlike Euron, whose very existence poses a threat to his leadership over the Iron Islands. If Yara is meant to doe, why have the showrunners not taken her out already? She clearly still has some eole to play in future episodes, either as a bargaining chip or as the subject of a rescue or escape mission. Also, we cannot forget the draw of popular characters, of whom Yara is one of them – unlike the poor didpensable Dornish characters. I think the fact that we have not seen her taken out (like Lady Olenna) or explicitly threatened with such, could possibly be perceived as a good sign at this point in time – although I do hope I am not being overly optimistic. On another note, how good is Pilou Asbaek as Euron Greyjoy? I didn’t pay him much heed in season 6, but he seems to have transformed to the occasionally charismatic, funny, charming maniac of book Euron and is pulling off a fine performance. Indeed, very entertaining to watch! You know when you have a thought working away at the back of your mind that something rings a bell but you can’t think what bell? I realised that the taking of tongues by Euron reminded me of something in the backstory of Dr Syn in the novel by Russell Thorndike (not the Disney version where the Scarecrow of Romney Marsh is far more altruistic). But then again it was possible that both Russell Thorndike and GRRM had used a common source from history. Google did bring up something on a website about pirates but it’s not very pleasant reading. This particularly unpleasant pirate does seem to have had his comeuppance.